On October 20, 1619, en route to Jamestown, Virginia, the magazine ship “Warwick” belonging to Earl of Warwick Robert Rich [1587–1658] — reportedly used to fight off the Spanish Armada in 1588 — made a scheduled stop in Bermuda. After completing the first stretch of the voyage it had to re-provision, discharge some of the cargo and passengers, and load valuable products bound for England. 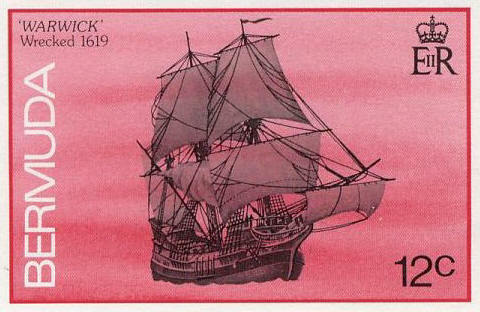 “Warwick’s” arrival here was as an important event for the island. On that voyage, the ship was charged with delivering Captain Nathaniel Butler, the new Governor of the permanent Bermuda colony founded in 1612. 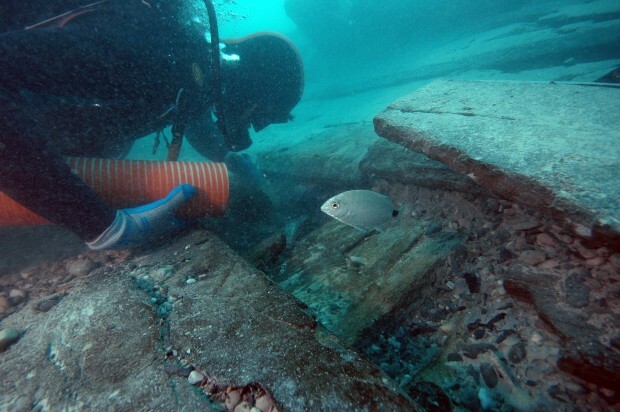 “Apart from delivering Butler, ‘Warwick’ was to carry supplies and settlers to the struggling colony at Jamestown and collect colonial products, mostly tobacco, from Bermuda and Virginia for return to England,” said marine archaeologists Piotr Bojakowski and Katie Custer. “At the end of November, as ‘Warwick’ was preparing to depart for America, where the Jamestown settlers were no doubt eagerly awaiting the arrival of the ship and the supplies it carried, a hurricane struck. Although the crew had prepared the ‘Warwick’ as the storm approached, all the moorings suddenly gave way and the ferocious wind drove the ship right into the rocky cliffs of Castle Harbour. 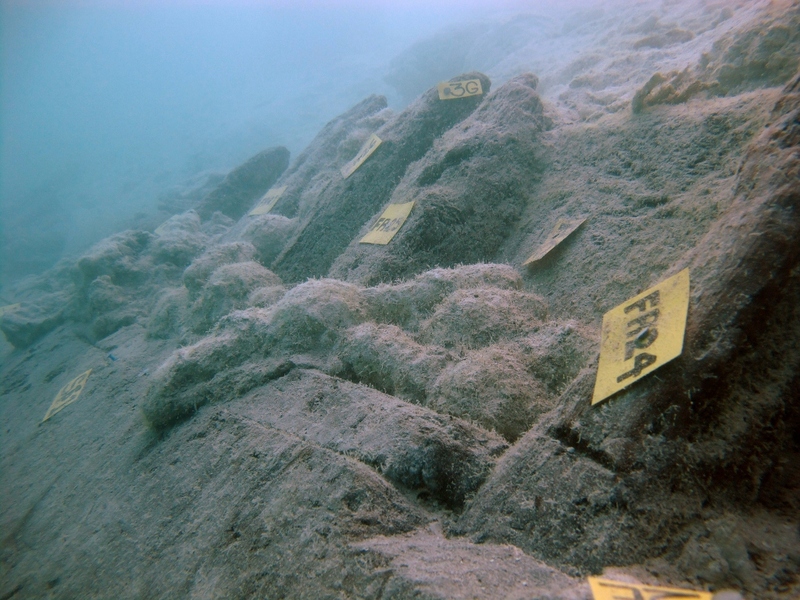 Since 2008 archaeologists from Bermuda, the National Museum of Bermuda, Texas A&M University, the University of Southampton, and the Vasa Museum have dedicated their time, resources and expertise to excavating “Warwick’s” wreck. And now Doug Inglis, assistant director of the “Warwick” Shipwreck Excavation, has concluded Robert Rich may have had more than merchant work in mind when he dispatched the ship to the New World. Writing on his blog Diving Archeology recently, Mr. Inglis said:” Sir Robert, the Earl of Warwick, was a major shareholder in the Bermuda Company. Although his stake in the joint-stock company was intended to be an important source of income, Sir Robert involved himself in privateering — legal piracy — on the side. ” … excavation of the shipwreck is revealing a number of exciting clues about the nature of the vessel. I have been part of an international team that has be working on the wreck since 2008. Before venturing into underwater archaeology, Mr. Inglis specialised in high-altitude archaeology — working in Rocky Mountain National Park and alpine regions of Colorado and Wyoming. Aside from his work on the “Warwick” project, Mr. Inglis is an archaeological illustrator at Texas A&M’s New World lab. He is completing a Master’s thesis in Nautical Archaeology. At the end of May he will be returning to Bermuda to join other archaeologists from the island and around the world to take part in the final season of the “Warwick” excavation. They didn’t find ‘ordinance’ they found ‘ordnance’, completely different things. I really enjoyed this video and reckon it would be a very useful teaching tool bringing maritime archaeology and maritime archaeological conservation to those students doing elective units in maritime archaeology and for those enthusiasts e.g NAS wanting to know a bit more about what we do… I also really loved seeing all those young and clearly very capable folk involved… I plan to show it in my classes.